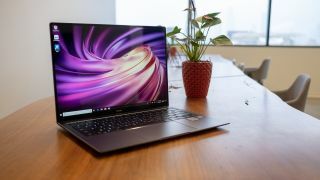 Huawei has revealed that it patched a flaw in its MateBook laptops that could have been used by hackers or other third-parties to take control of a user's system. The software bug was first discovered by Microsoft while investigating an alert raised by Microsoft Defender Advanced Threat Protection's kernel sensors. Huawei opens European cybersecurity "transparency centre"
"It was introduced at the manufacture stage but the path by which it came to be there is unknown and the fact that it looks like an exploit that is linked to the NSA doesn't mean anything. It could be organised crime gangs, which are increasingly interfering with the supply chain, or it could be someone playing geo-politics to discredit Huawei. There is no evidence that the company has done anything malicious or any evidence they were under pressure from the state." Huawei is already facing a wave of international pressure over how its devices could be used by the Chinese government to spy on the West. This has led some governments such as the US to ban the firm's equipment from being used while the UK is still considering such a ban. Professor Woodward also raised the point that the security flaw found in Huawei's MateBook laptops is going to do little to help the company's case or reduce spying concerns. Huawei's networking equipment has the potential to play a huge part in the global rollout of 5G networks though the chaos that could be caused by their disruption has led many to be worried about the company supplying this technology.